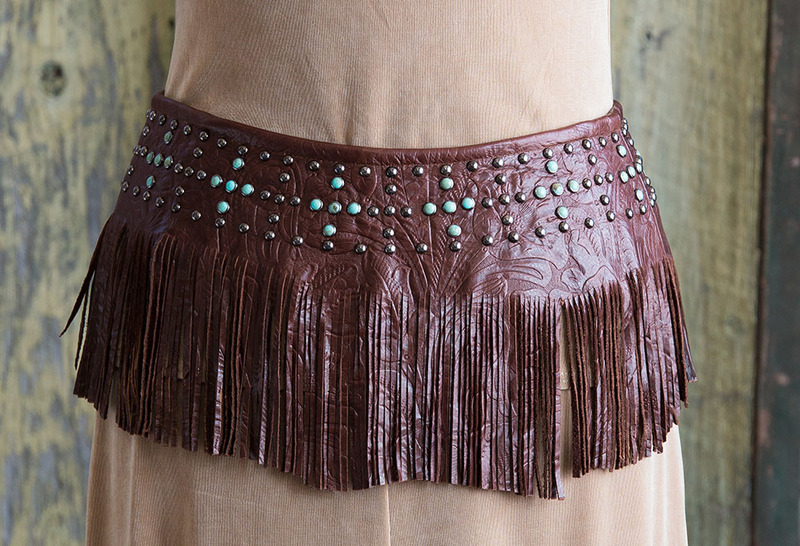 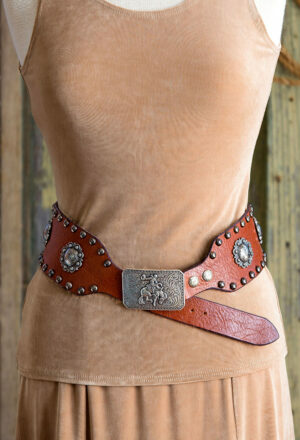 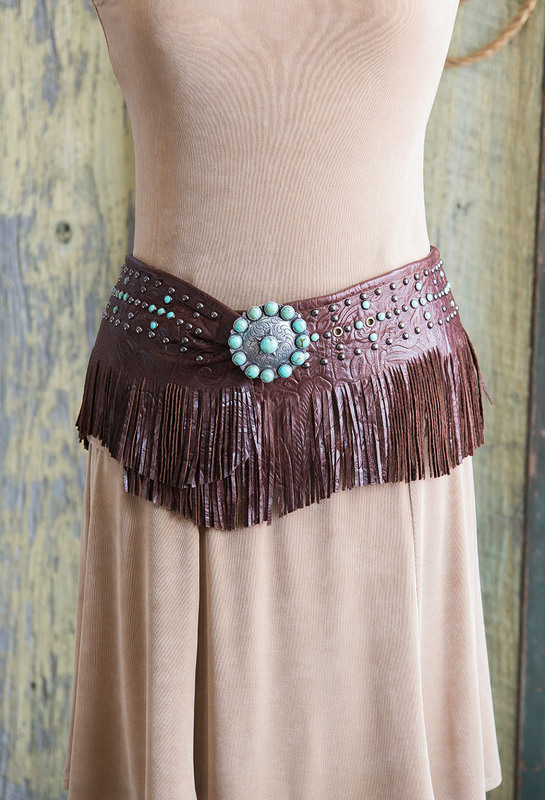 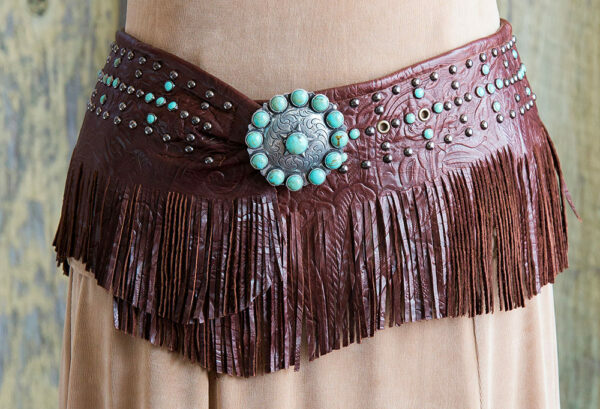 Bandalero Belt made in cowhide embossed with a delicate floral pattern. 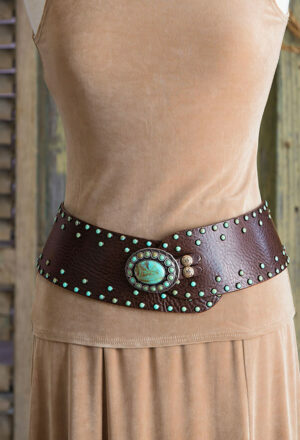 Belt is finished with pewter buckle, turquoise colored stones and antiqued German silver studs. 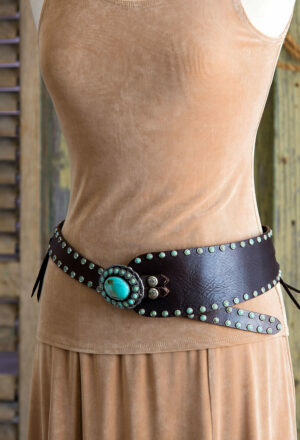 Wears comfortably on the high hip or low hip. 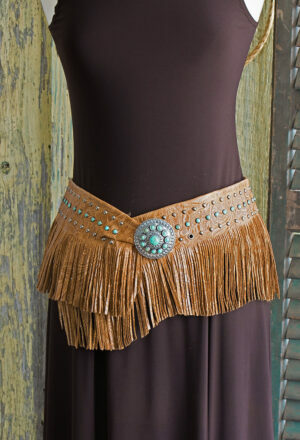 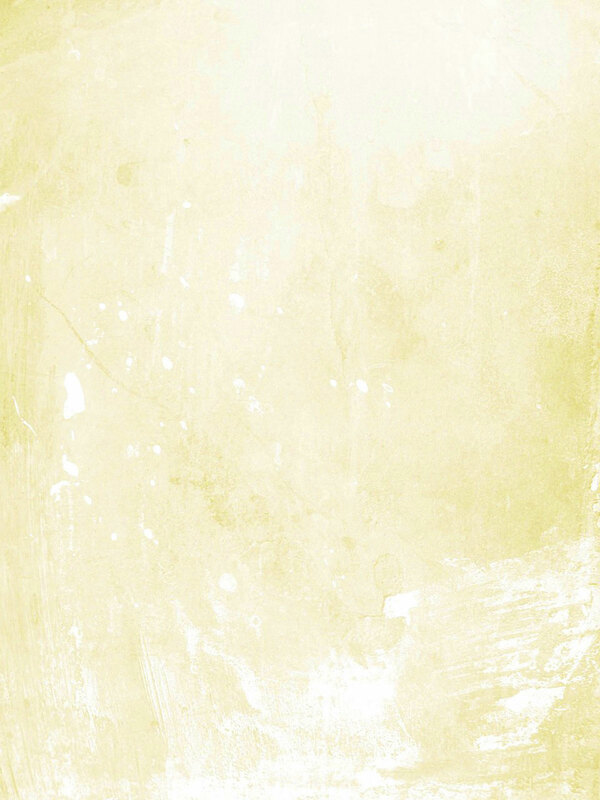 Shown in Brown.